State of the Art equipment for all types of events with all levels of equipment required. Audio Visual Supplies Sydney - Along with supplying all of your entertainment requirements for your event or venue, SP Music Group also supplies Audio Visual Equipment and Boutique Backline, which creates the one stop shop experience required for simplifying contacting numerous companies, which SP Music Group takes care of in one task. All of SP Music Groups Equipment supplied is High-End Quality, which creates the foundation for a premium experience every time. Brands like RCF D Line Series and HK Actor for Front of House and Monitoring Speakers, Pioneer NEXUS range for DJ Equipment, Fender for Guitars and Amplifiers, Nord, Roland and Korg for Keyboards, DW Collectors and Roland for Drum Kits and Electronic Drum Kits spells out SP Music Group truth behind quality. Vintage Instruments are also available. 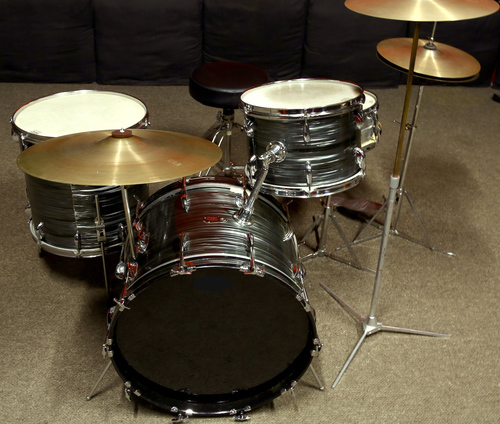 We have a vintage drum kit from one of Australia’s most popular rock icons in our inventory – Go to our Boutique Backline section to hire this collector’s item now! Ask us today to tailor your event or venue with Boutique Audio and/or music equipment. All equipment is available for hire, sub-hire, permanent Installation, hire purchase or even outright purchase. Arrangement 1 - 2 x RCF HDL20A / 2 x 18" Subs - Suitable for all applications and catering for up to 250 people, suitable for live venues and night clubs. Arrangement 2 - 4 x RCF HDL20A / 18" Subs - Suitable for all applications and catering for up to 500 people, suitable for live venues and night clubs. Arrangement 3 - 8 x RCF HDL20A / 18" Subs - Suitable for large outdoor events or large venue sizes, this arrangement will cater to 1000 people and will display the real wow factor for you and your clients next event. 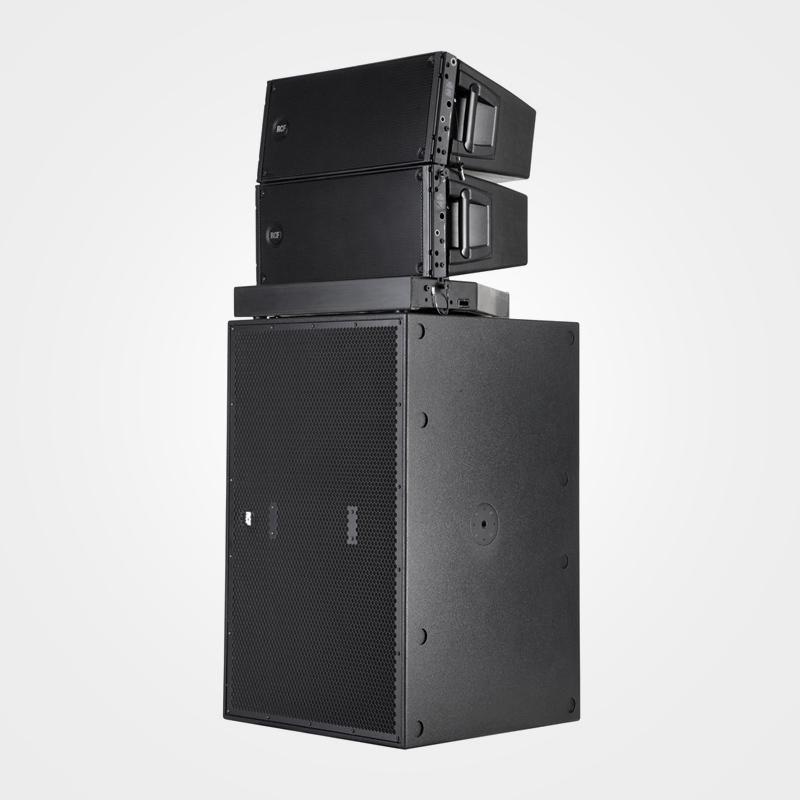 Arrangement 4 - 16 x RCF HDL20A / 18" Subs - Suitable for an outdoor touring stage, outdoor venues and large venue sizes, this is a serious state-of-the art, real line array arrangement, which also requires ceiling or truss rigging. This arrangement will cater to 2000 people, mainly for mini festivals and for that client that just wants the best. HK Arrangement 1 - 2 x Actor15 / Sub15, this is a great system which will cater for any event up to 200 people. This system can also be used with one sub, and will cater for up to 150 people. All HK boxes are Timer construction which adds to their warm tones. Mainly used for live venue and ceremonial events. HK Arrangement 2 - 2 x Actor15 / 4 x Sub15, much the same as HK Arrangement 1, but with more Bass! This is arrangement is how the system is designed to be configured, allowing you to push the top boxes to their capability, this system comes alive and will cater for up to 350 people. Mainly used for live venue and ceremonial events. CDJ / DJM Nexus 2000 Console - The industry standard, plus a little more for the DJ wanting to show more flare with additional effects, loop controls and more. CDJ2000 / DJM900 Nexus Console - The industry standard in all clubs, bars and professional corporate environment applications and for the DJ that just gets it. © 2017 SP Music Group. All rights reserved.